55 Cubic Ft Helium Tank is available for delivery to the Santa Barbara area. Our helium tanks service offers delivery Monday – Friday only. We will deliver your tank M-F and pick it up the following Monday. The tank rental price includes 55 cubic feet of helium and one latex balloon inflator. Please note that the price of this rental fluctuates daily due to the unstable price of helium. 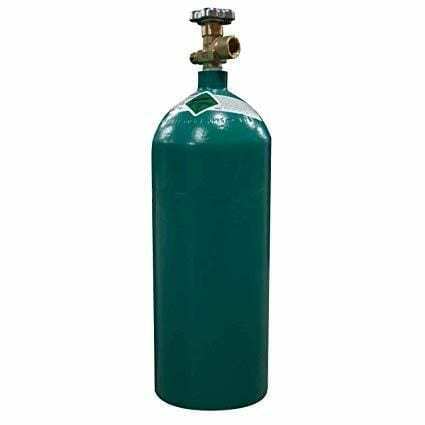 Helium tank rentals require advance reservation to ensure the best price. Please call (805) 680-5484 to reserve your helium tank rental today. Price includes local delivery and pick up of your tank within a 10 mile radius from downtown Santa Barbara. Further delivery distances are possible however, a delivery fee may be added. Delivery areas are: Santa Barbara, Goleta, Montecito, Summerland, Carpinteria, Gaviota, Hollister Ranch, Lompoc, Solvang, and Santa Ynez. If we pick-up your helium tank from a secure location on Monday morning, then you will not need to be on-site when the delivery staff arrives. Simply leave your tank at the front door and we will do the rest. However, if the pick-up is in a non secure area, then you will need to coordinate someone to be there. For instance, if you have a gate that requires a code or key, or you have dogs in your yard, then please coordinate the appropriate help to facilitate easy pick-up. Thank you in advance. The inflator fills latex balloons only. If you need an inflator for foil mylar balloons please ask for a nozzle upgrade when ordering your tank ($15 additional). In conclusion, if this is your first time renting a helium tank from us, please note that we will require a deposit on your credit card in the amount of $100. This deposit is for late pick-ups and broken equipment.